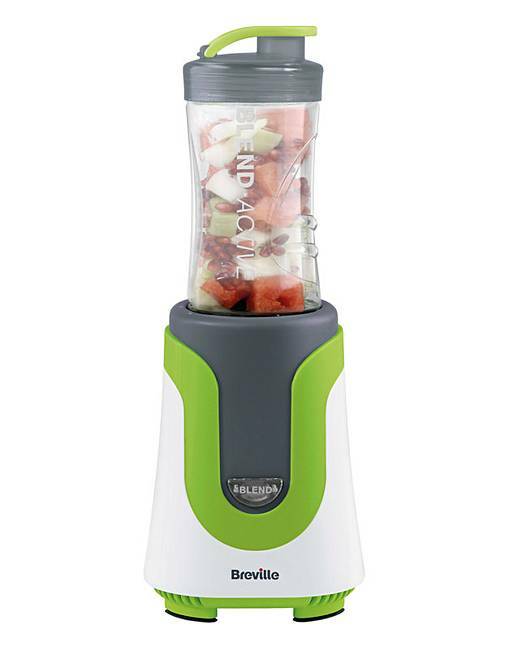 Breville Blend Active Mix Family Blender is rated 5.0 out of 5 by 7. 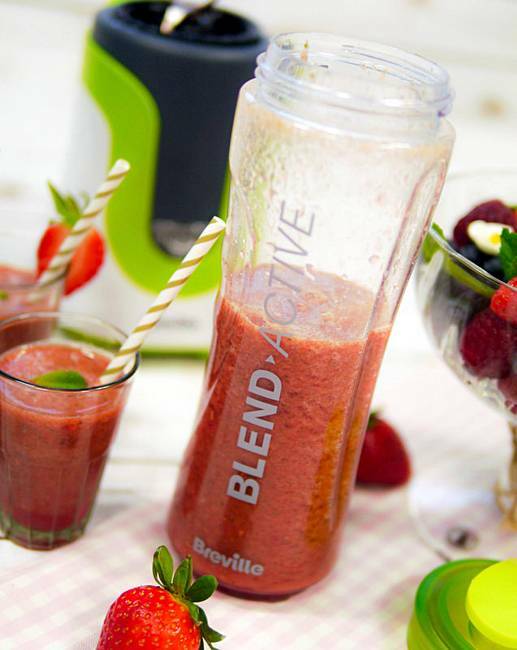 Make fast, fresh and nutritious smoothies, shakes, slushies and protein drinks with the Breville VBL214 Blend Active Colour Mix Family Blender. 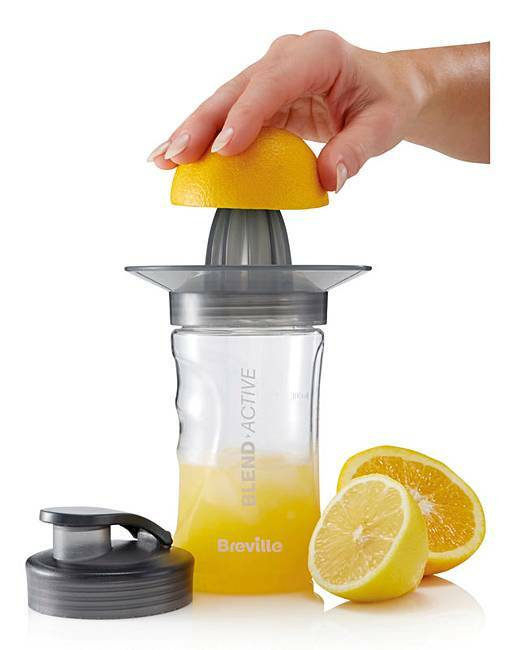 Features angled stainless steel blades, wide nozzles, non-slip feet, odour and taste resistance, cord storage and dishwasher-safe blending bottles. 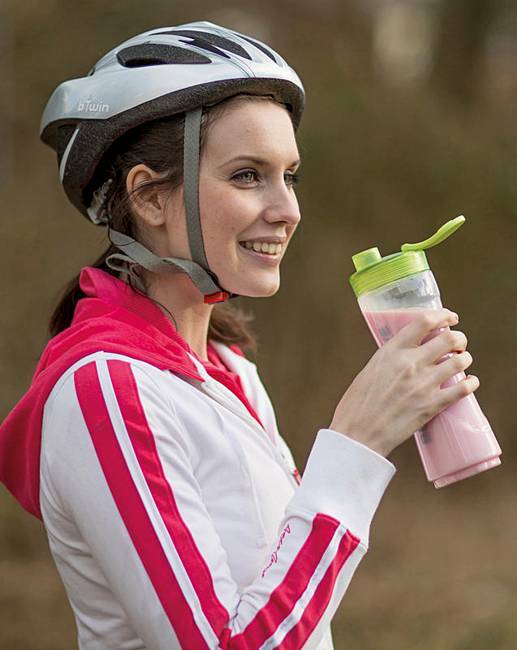 Includes recipe ideas, 2 x 600ml and 2 x 300ml sports bottles, 4 x sports lids (green, grey, pink & blue), citrus juicer and whipping disc. H.37 x W.13 x D.13 cm. 1m cord length. 300W. 1 year manufactuer's guarantee. Rated 5 out of 5 by Warrior19 from Great price! I bought this item a month ago for me and my children. 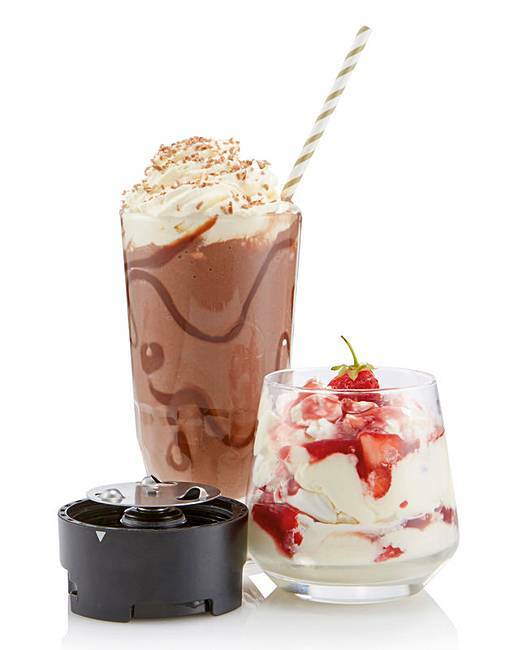 It's so easy to use and my children make their own healthy smoothies. 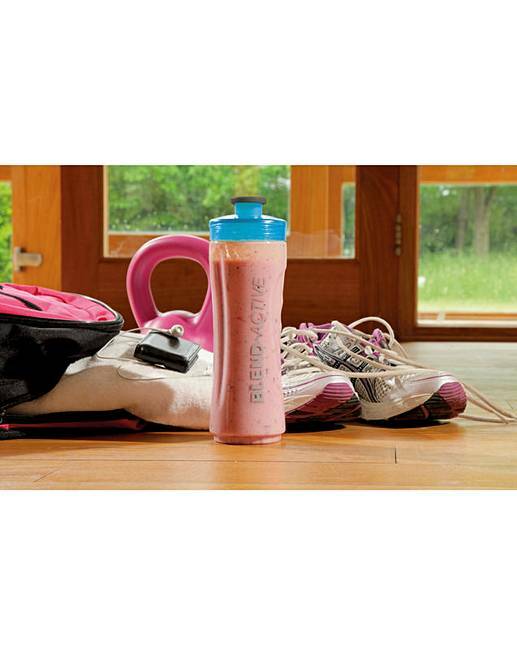 Ideal for taking to the gym, work or anywhere! 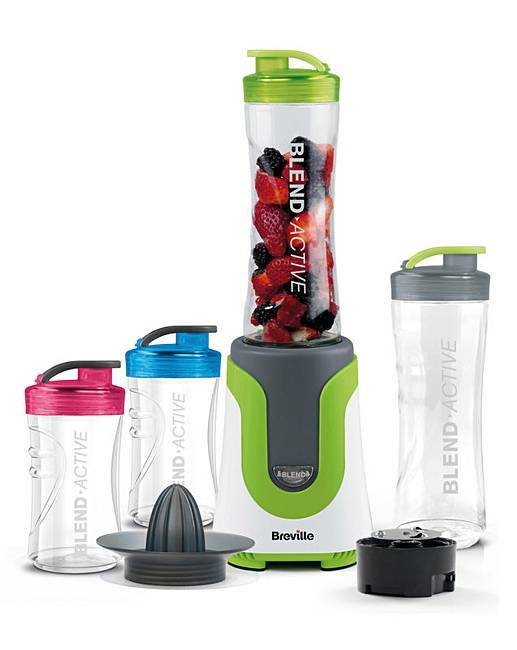 Rated 5 out of 5 by No nick name from Breville Blend active family blender An amazing product I would recommend anyone to buy it. Rated 5 out of 5 by Aimz from Brilliant Very happy with this purchase. 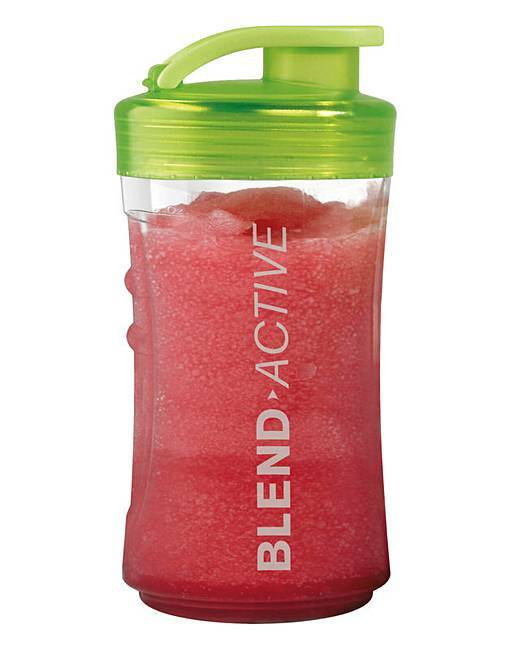 Blends ice easy, makes perfect smoothies milkshakes etc. Love it has lots of different bottles, Super easy to use, takes up little room and is easy to wash. Rated 5 out of 5 by Kim98 from Love it I bought this a month ago and so far it’s been amazing. 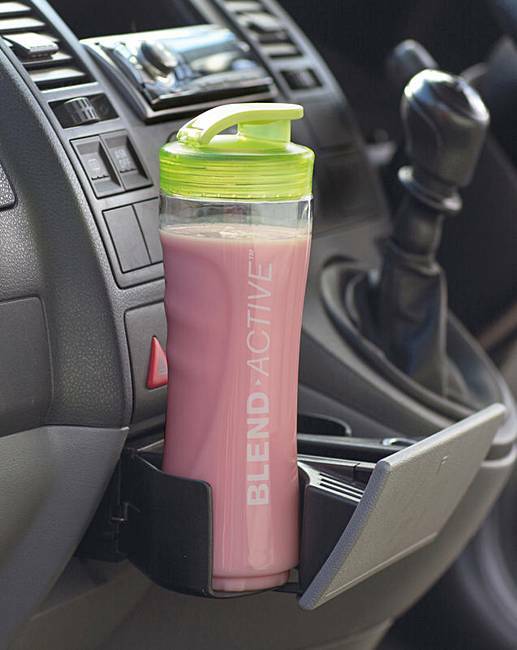 The diffeeent sized cups are great for on the go aswell!